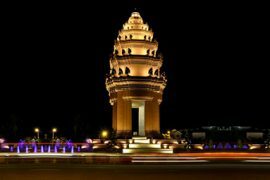 Visit a gleaming golden stupa which is perhaps the most important national monument in Laos. 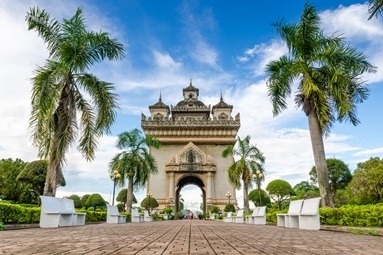 Gain an insight into both the ancient and modern sides of the capital city of Laos. 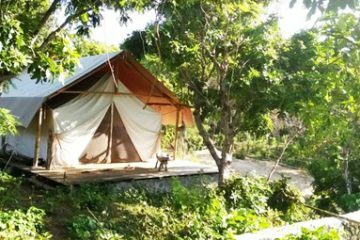 Learn how to make ‘mak beng’ and ‘pasaat peung’, the traditional Lao Buddhist banana leaf and wax flower offerings. 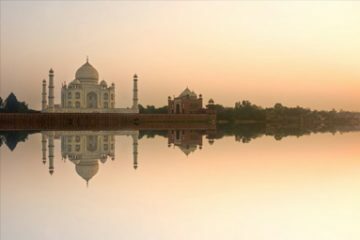 Spend the morning discovering the main temples and sights of this sleepy city. 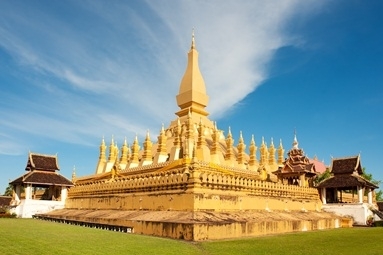 Visit Pha That Luang, a gleaming golden stupa which is perhaps the most important national monument in Laos. 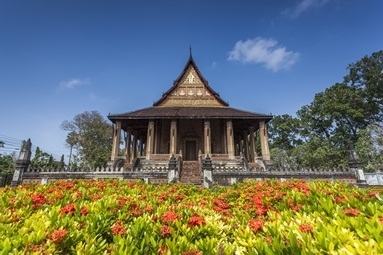 Explore Ho Pha Keo, the formal royal temple, now a museum with beautiful examples of Buddhist sculpture. Photograph the thousands of tiny Buddha images and rows of seated Buddhas at Wat Si Saket; and see Patuxai, a monumental arch inspired by the Arc de Triomphe, but executed with Lao motifs. 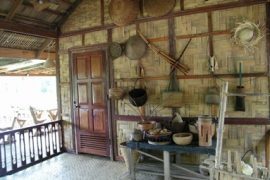 Relax over a delicious lunch served in the beautiful surroundings of a training restaurant that helps disadvantaged Laotians to gain employment in the tourism industry. After lunch visit COPE – a locally-run, non-profit organization founded in 1997 to provide survivors of unexploded ordnance with care and support. This includes access to orthodontic and prosthetic devices, quality treatment and rehabilitation services. Continue to Carol Cassidy’s textile workshop and gallery located in a refurbished French colonial mansion. Spend time watching the Lao artisans at work at the looms creating beautiful fabrics inspired by traditional techniques and designs. 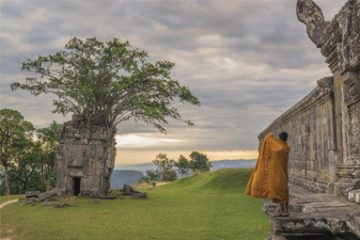 End the tour with a visit to two temples to understand more about Lao Buddhist traditions. Learn how to make ‘mak beng’ and ‘pasaat peung’, the traditional Lao Buddhist banana leaf and wax flower offerings.